These are both, strictly speaking, obsolete analogue metering formats! In short, the VU meter shows an averaged signal level and gives an impression of perceived loudness, while a PPM indicates something closer to the peak amplitude of the input signal. However, in our modern digital world, neither meter really performs adequately. 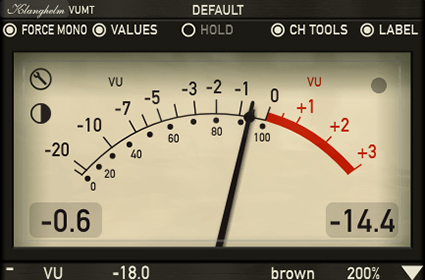 The VU meter … gives an impression of perceived loudness. While digital meters do a great job of letting you know if your signal is clipping, they don’t correlate much with what you’re actually hearing. One of the reasons people love mixing outside the box is that analog meters move the way the music does. So let’s set up some analog meters. ‍Klanghelm VUMT is my favorite meter plugin, and it has far more features than we’ll need today. For now, just bring it up as a simple VU meter and apply it to a vocal track. Adjust the track volume (pre-fader) in the DAW so that the meter is reading around 0VU for sustained vocal phrases. After you’ve set your gain, you’ll notice that there are some big variations in level; some phrases will be close to clipping, while others will barely move the needle. We’re going to take another page from the analog book and do some level-riding. If you were mixing on an analog desk, this would mean keeping your finger on the fader and manually moving it up and down to compensate for level changes. In the digital world, we can use our DAW to adjust the gain. In my case, I’ll use REAPER to cut it up into clips and adjust their gain, but you could also do this with trim or pre-fader volume envelopes. As you can see, the levels on the bottom clip are much more consistent, while still retaining plenty of dynamics; the meter should be reading 0VU more consistently as well. 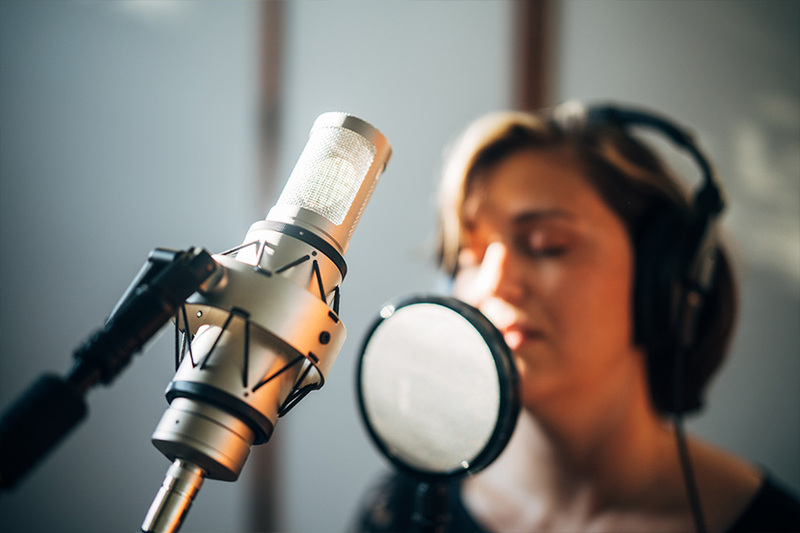 Now, go through the same process with any other tracks that contain melodic material (in other words, anything but drums). Your lead vocal is your loudness reference, so use your ears while you’re matching levels; however, you can aim for 0VU for legato tones (vocals, lead guitar, bass, horns, and bowed instruments), while more percussive material (rythmic guitar strums, hard piano chords) will clock in closer to -7/-5VU. Again, use your DAW to ride the levels and even out big variations. You’re welcome to dive into the technical aspects of all this, like how to convert VU to dBFS and how headroom applies to the digital domain. But regardless of that, if you follow the steps above then you’ll meet all the goals we set in the previous post; consistent levels, adequate headroom, and good signal-to-noise. Most importantly, when your faders are at unity your tracks will all sound equally loud. With this foundation, the mix process becomes much more intuitive. I’ve used the term “digital tape” because this process emulates how you’d gain-stage if you were recording to an analog medium. But how about emulating some properties of tape in the digital domain? And how do you gain-stage percussive content? Read on.